The past six months I’ve been working with the Nuresery chain Plantagen. It’s been a fun job and the first campaign is out. Styling by me. Photo’s by photographer Frida Ström. Elin Wallin was assisting me and it’s also shot at her lovely house. Above you see the trendy plants at the moment. Such as Aspergus, Pilea, money plant, cactus and calatea! Different ways to use an Orchid. I really like the hanging ones! I don’t think anybody missed that the cactus is back! Can you spot the fake ones? Don’t forget to put plants in your kids room! Different sorts of plants that are hard to kill! Orchid, succulents, aloe vera, garderobsblomman (Zamioculcas zamiifolia) och svärmorstunga (Zamioculcas zamiifolia). You know some plants are really good to use next to you working station. 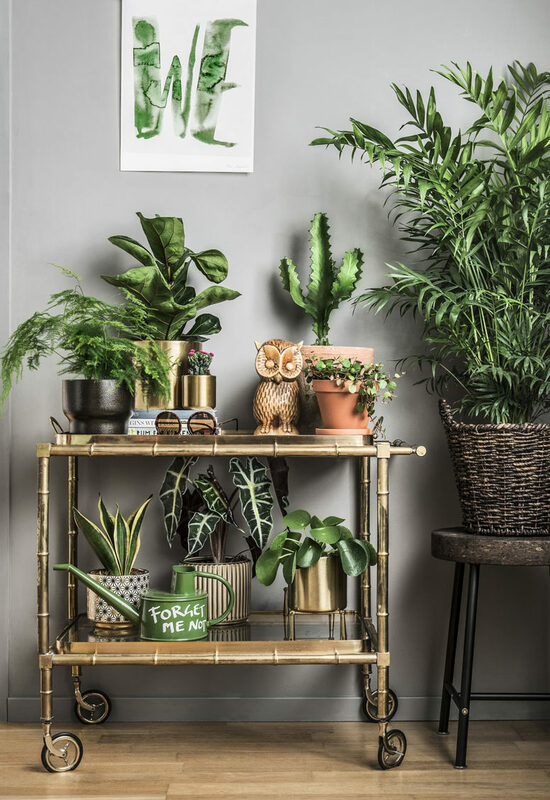 Helps to prevent bad charges from your computer such as fredskallan – Spathiphyllum wallisii ‘Sweet Lauretta’, Ampellilja -Chlorophytum comosum, Banddracena -Dracena deremensis are some plants that keeps the air more humid and healthier. Also something to think about in your bedroom! Also nice to sleep in a kind of contained jungle!